We are living in the 21st century in the era of the third industrial revolution. Also known as the Digital Revolution, a century of computer and automation. Every industry is moving toward automation to and education industry is not behind. Education Technology or EdTech has become a new trend in the education industry. As higher education is vast and the young generation is more tech-savvy, they are transforming very quickly into EdTech synchronized system. Not just students but institutions are also shifting to automated academic and administrative operations through ERP. Amidst cutting edge competition there are few EdTech tools that are transforming the higher education system. AI has already entered all the major sectors e.g. finance, marketing, and advertising, healthcare, law, etc. Now, many educational institutes are adopting AI in their academic and administrative process. UK based company Third Space Learning is using the AI software to improve the teaching experience of its global network of around 300 teachers. In some institutes, AI software is installed in the classroom to guide teachers to not to lose track of the topic while teaching, to maintain teaching speed for better understanding among the students. The role of blockchain in the next technological chapter is not hidden. The adoption of bitcoin as a legit currency in various countries is the one solid example of how blockchain tech is changing the system. There are many ways blockchain technology in education can help to decentralize the higher education system. Education record and credentialing, copyright protection, course curriculum, innovative learning platform, publishing, library are a few areas where blockchain can overhaul the education experience. Education industry runs on numbers of operations. To manage a student life cycle in an institution from admission to placement is not an easy task. It requires admission management, fee management, inventory management, academic management, various report generation, and much more work. To make higher education efficient, productive, hassle-free and more centralized education software of Student Information system or SIS is introduced. 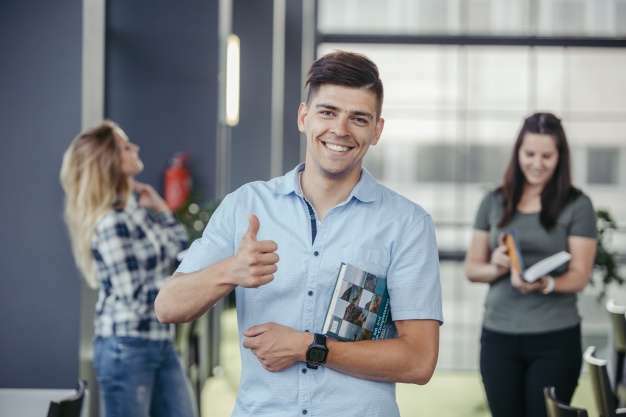 Many institutions have already adopted to Student Information System and due to quick run around time, they are achieving a high return on investment. Virtual Reality in education is also widely known as Virtual Learning Environment, which provides immense learning potential in higher education. Educators can enhance the educational experience by using VR practice in the classroom. Tech giants like Microsoft, Google have modified the human-computer interaction via gadgets like Microsoft HoloLens and Google lens. IoT or Internet of Things has made the main transformation in the retail sector, healthcare and customer services. According to the basic definition, It is defined as a proposed development of the internet in which everyday objects (other than the usual laptop, mobile, computer) have network connectivity to send and receive data and exchange information. With the help of IoT, the education sector is availing the benefits of collaboration between students, educators, and administration. It also helps in global networking enhancement of textbooks, attendance monitor system, data collection, and better collaboration. Why you should use these technologies in your institution? It is not necessary to use all the tool simultaneously. You can opt for the right EdTech based on institutional operations and processes. To enhance the student, faculty and administration experience, for more collaborative processes and streamlined operations it is necessary to use technology in education. Are you looking for EdTech or software to enhance the productivity of your institute? Academia is one of the leading education management software that is an enhancer and enabler for the education sector operations. It works for schools, higher education institutions, and training institutes. Try a free demo now! !